Generally, ingested insoluble actinide compounds ,such as high-fired uranium dioxide and mixed oxide (MOX) fuel, will pass through the digestive system with little effect since they cannot dissolve and be absorbed by the body. Inhaled actinide compounds, however, will be more damaging as they remain in the lungs and irradiate the lung tissue. Ingested Low-fired oxides and soluble salts such as nitrate can be absorbed into the blood stream. If they are inhaled then it is possible for the solid to dissolve and leave the lungs. Hence, the dose to the lungs will be lower for the soluble form. 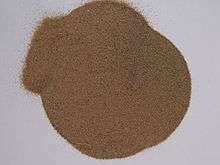 In India, a large amount of thorium ore can be found in the form of monazite in placer deposits of the Western and Eastern coastal dune sands, particularly in the Tamil Nadu coastal areas. The residents of this area are exposed to a naturally occurring radiation dose ten times higher than the worldwide average. Thorium is found at low levels in most rocks and soils, where it is about three times more abundant than uranium, and is about as common as lead. Soil commonly contains an average of around 6 parts per million (ppm) of thorium. Thorium occurs in several minerals, the most common being the rare earth-thorium-phosphate mineral, monazite, which contains up to about 12% thorium oxide. There are substantial deposits in several countries. 232Th decays very slowly (its half-life is about three times the age of the earth). Other isotopes of thorium occur in the thorium and uranium decay chains. Most of these are short-lived and hence much more radioactive than 232Th, though on a mass basis they are negligible. Thorium has been linked to liver cancer. In the past thoria (thorium dioxide) was used as a contrast agent for medical X-ray radiography but its use has been discontinued. It was sold under the name Thorotrast. Uranium is a natural metal which is widely found. It is present in almost all soils and it is more plentiful than antimony, beryllium, cadmium, gold, mercury, silver, or tungsten, and is about as abundant as arsenic or molybdenum. Significant concentrations of uranium occur in some substances such as phosphate rock deposits, and minerals such as lignite, and monazite sands in uranium-rich ores (it is recovered commercially from these sources). Seawater contains about 3.3 parts per billion of uranium by weight as uranium (VI) forms soluble carbonate complexes. The extraction of uranium from seawater has been considered as a means of obtaining the element. Because of the very low specific activity of uranium the chemical effects of it upon living things can often outweigh the effects of its radioactivity. 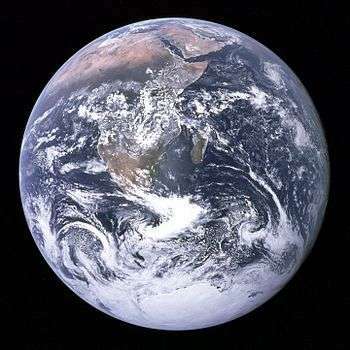 Additional uranium has been added to the environment in some locations as a result of the nuclear fuel cycle and the use of depleted uranium in munitions. Like plutonium, neptunium has a high affinity for soil. However, it is relatively mobile over the long term, and diffusion of neptunium-237 in groundwater is a major issue in designing a deep geological repository for permanent storage of spent nuclear fuel. 237Np has a halflife of 2.144 million years, therefore it is a long-term problem; but its half-life is still much shorter than those of uranium-238, uranium-235, or uranium-236, and 237Np therefore has higher specific activity than those nuclides. Plutonium, like other actinides, readily forms a plutonium dioxide (plutonyl) core (PuO2). In the environment, this plutonyl core readily complexes with carbonate as well as other oxygen moieties (OH−, NO2−, NO3−, and SO42−) to form charged complexes which can be readily mobile with low affinities to soil. Plutonium is known to bind to soil particles very strongly, see above for an X-ray spectroscopic study of plutonium in soil and concrete. While caesium has very different chemistry to the actinides, it is well known that both caesium and many of the actinides bind strongly to the minerals in soil. Hence it has been possible to use 134Cs labeled soil to study the migration of Pu and Cs is soils. It has been shown that colloidal transport processes control the migration of Cs (and will control the migration of Pu) in the soil at the Waste Isolation Pilot Plant. Americium often enters landfills from discarded smoke detectors. The rules associated with the disposal of smoke detectors are very relaxed in most municipalities. For instance, in the UK it is permissible to dispose of an americium containing smoke detector by placing it in the dustbin with normal household rubbish, but each dustbin worth of rubbish is limited to only containing one smoke detector. The manufacture of products containing americium (such as smoke detectors) as well as nuclear reactors and explosions may also release the americium into the environment. Picture illustrating David "Radioactive Boyscout" Hahn. In France a truck transporting 900 smoke detectors had been reported to have caught fire, it is claimed that this led to a release of americium into the environment. In the U.S., the "Radioactive Boy Scout" David Hahn was able to buy thousands of smoke detectors at remainder prices and concentrate the americium from them. There have been cases of humans being contaminated with americium. The worst case was that of Harold McCluskey, who was exposed to an extremely high dose of americium-241 after an accident involving a glove box. He was subsequently treated with chelation therapy. It is likely that the medical care which he was given saved his life; because of the difference in the chemistry of americium (the +3 oxidation state is very stable) to plutonium (where the +4 state can form in the human body) the americium has very different biochemistry to plutonium. The most common isotope americium-241 decays (half-life of 431 years) to neptunium-237 which has a much longer half-life, so in the long term, the issues discussed above for neptunium apply. Americium released into the environment tends to remain in soil and water at relatively shallow depths and may be taken up by animals and plants during growth; shellfish such as shrimp take up americium-241 in their shells, and parts of grain plants can become contaminated with exposure. ↑ "Compendium Of Policy And Statutory Provisions Relating To Exploitation Of Beach Sand Minerals". Government Of India. Archived from the original on 4 December 2008. Retrieved 2008-12-19. ↑ THORIUM Agency for Toxic Substances and Disease Registry. July 1999. ↑ "Uranium: the essentials". WebElements. Retrieved 2008-12-19. ↑ "Neptunium" (PDF). Argonne National Laboratory, EVS. August 2005. Archived (PDF) from the original on 19 December 2008. Retrieved 2008-12-19. ↑ Whicker, R.D. ; S.A. Ibrahim (2006). "Vertical migration of 134Cs bearing soil particles in arid soils: implications for plutonium redistribution.". Journal of Environmental Radioactivity. 88 (2): 171–188. doi:10.1016/j.jenvrad.2006.01.010. PMID 16564117. ↑ Bunzl, K.; Kracke, W. "Fate of fall-out plutonium and americium in the environment: selected examples". Science Direct. Elsevier B.V. Retrieved 11 September 2016. ↑ "Radiological Agent: Americium-241". CBWInfo.com. Archived from the original on 8 January 2009. Retrieved 2008-12-19. ↑ "Public Health Statement for Americium". CDC - ATSDR. Retrieved 11 September 2016. Hala, Jiri, and James D. Navratil. Radioactivity, Ionizing Radiation and Nuclear Energy. Konvoj: Brno, Czech Republic, 2003. ISBN 80-7302-053-X. Royal Society for Chemistry - Why do mechanisms matter in radioactive waste management?